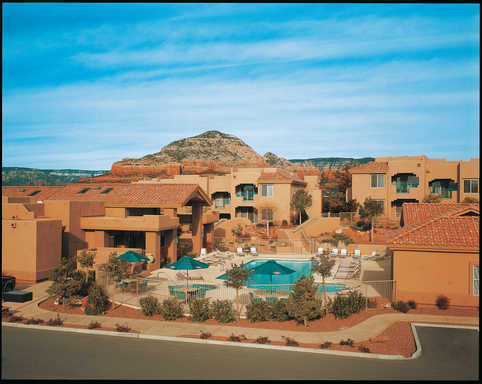 There is simply no better way to take in, and relax in, the Sedona Plateau with all its grand mountain scenery, than to experience it while staying at Sedona Summit. Superior opportunities to relax, rejuvenate and reconnect while taking in the views, enjoying the accommodations and taking part in the outdoor activities. 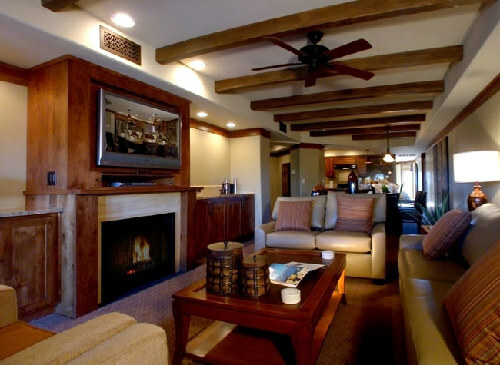 How much, or how little, you choose to do during your stay at Sedona Summit is entirely up to you. Sometimes, it's just nice to know you have the options. 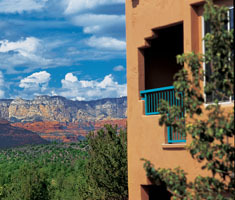 Once you have admired the stunning mountain scenery from atop the Sedona Plateau, you will understand why there aren't enough words to describe the beauty. It's why so many people choose this location to disconnect from the world and reconnect to themselves. The mountains, the rock formations, the dazzling hues of the red sands, and the cacti all come together to create a picturesque panorama you can't even imagine. Of course, there's more to do with this as your backdrop than just take in the sights. 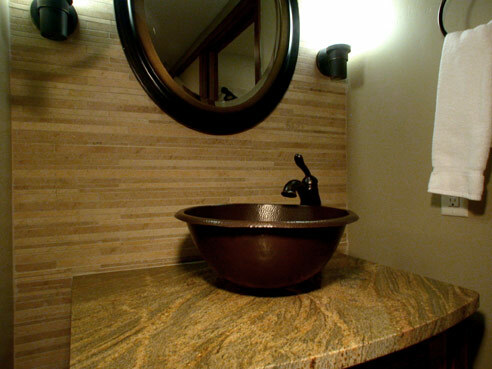 There are plenty of things to do for the whole family or for an intimate retreat. Take a river-rafting excursion or spend the day hiking. Let your guide take you through the desert in an off-road vehicle or by horseback through off-the-beaten-path trails. 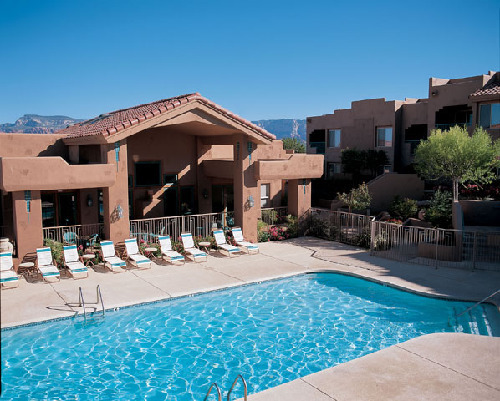 If you love the outdoors, you will find everything you need, and then some, at Sedona Summit. Enjoy some family bonding time picnicking and swimming at Slide Rock State Park and be a kid again yourself, enjoying the slide down the natural water chute at the nearby historical apple farm, still operating today. 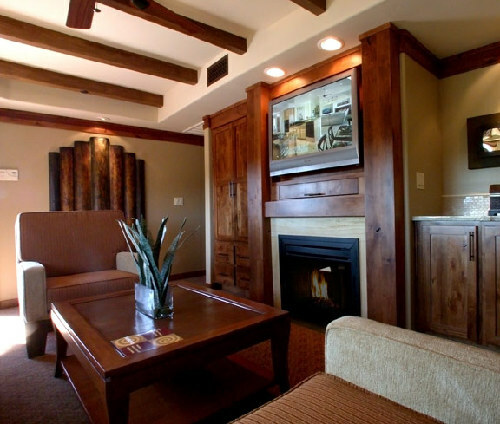 After your time bonding with family and Mother Nature, you'll be ready to relax and unwind in your cozy accommodations at Sedona Summit. Choose from one of our heated outdoor pool or jacuzzi areas. Cooking at the BBQ area is always an option. 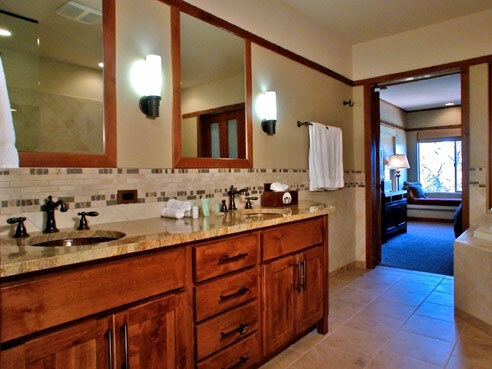 You can spend plenty of time simply remaining on the grounds at Sedona Summit. Keep your workout going and hit the fitness center. Check in with the onsite Activities Department and find out what's going on for visiting guests to take part in. Regional Activities Rich in colour and resplendent in the Native American history of the Hopi, Navajo and Pueblo culture, the Southwest presents intriguing red rock formations, 225 million-year-old fossils and the multi-hued badlands of the Painted Desert. The ancient Petrified Forest, stretching from New Mexico to Arizona, is just steps from one of the Seven Natural Wonders of the World- The Grand Canyon. Driving: From Sky Harbor Airport: Take I-10 West to I-17 North. Take exit 298 Sedona/Oak Creek Canyon - HWY 179. Follow approximately 19 miles to Sedona. Turn Left at the traffic light onto HWY 89A. Proceed to the light at Cultural Parkway. Turn right onto Cultural Parkway and right onto Navoti Drive. Continue for approximately 100 yards to the reception building on the right. 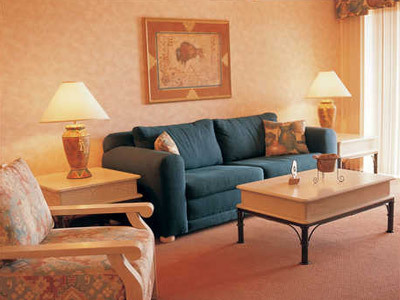 Directions to Resort: From Sky Harbor International Airport join the Interstate (I) I17 N to Exit 287. Turn left on Hwy 260 towards Cottonwood. It will take appx. 15 minutes to reach the intersection of Hwy 260 and 89A. Turn right on 89A, it will take approximately 20 minutes to reach Sedona. At the first traffic light (Culture Park Place Rd)turn left and then right unto Navoti Drive. Reception Building appx. 150 yds on the right.